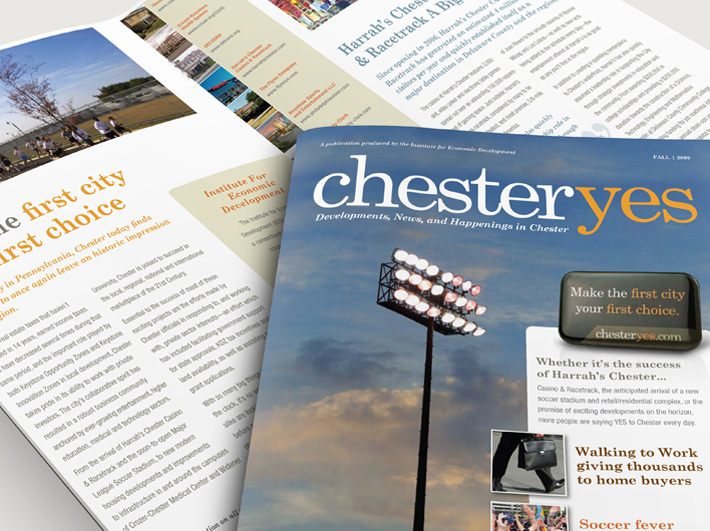 A local economic development organization (IED) headed by the mayor of Chester and business leaders had a vi­sion: to attract businesses to Chester as part of a “ground-up” revival plan to offer jobs and tax revenue for commu­nity improvement projects. 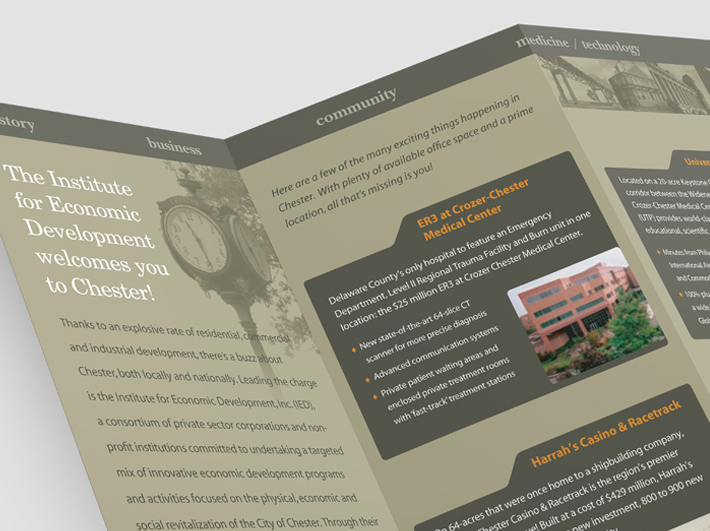 Good things had begun to happen, including the arrival of the Harrah’s gaming organiza­tion and the construction of the first private residential housing in 30 years. 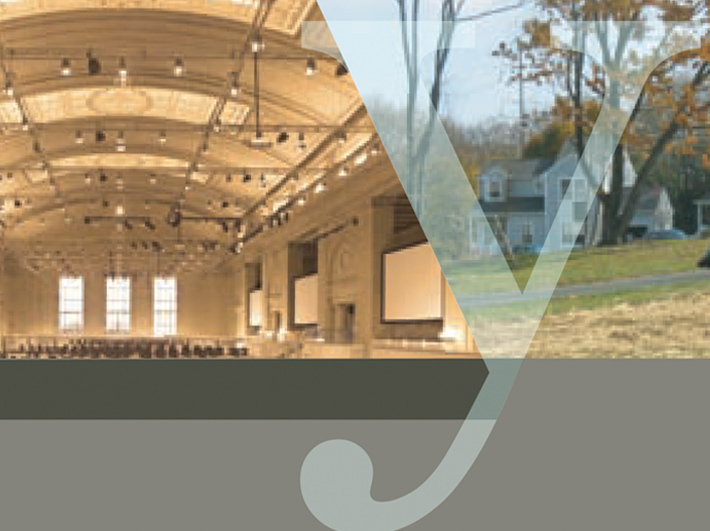 Overall, $1.4 billion had been invested in various construction and quality-of-life projects to help get the city back on its feet. 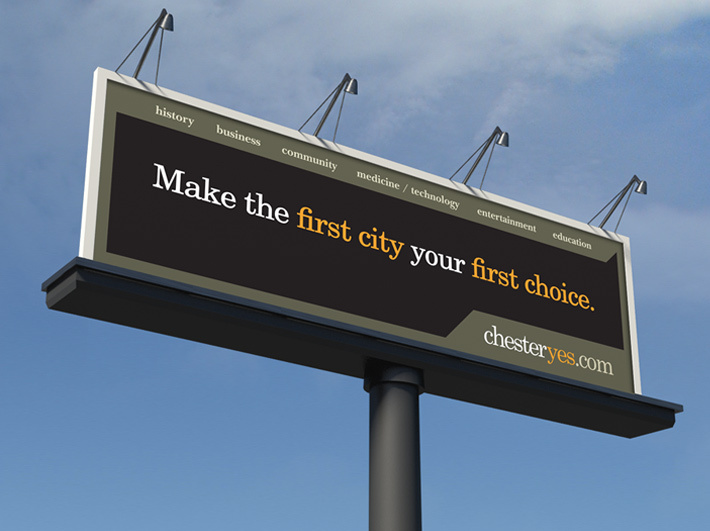 Now a way was needed to communicate to businesses, developers and potential investors about the opportunities in the “new” Chester. 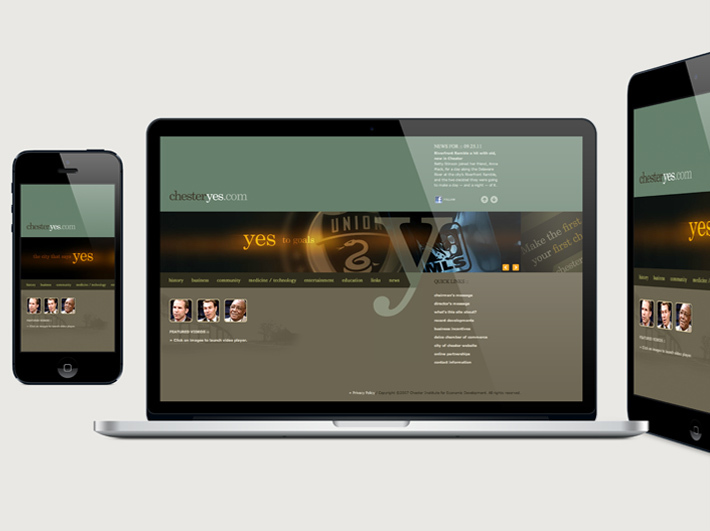 Enter Signature Communications. 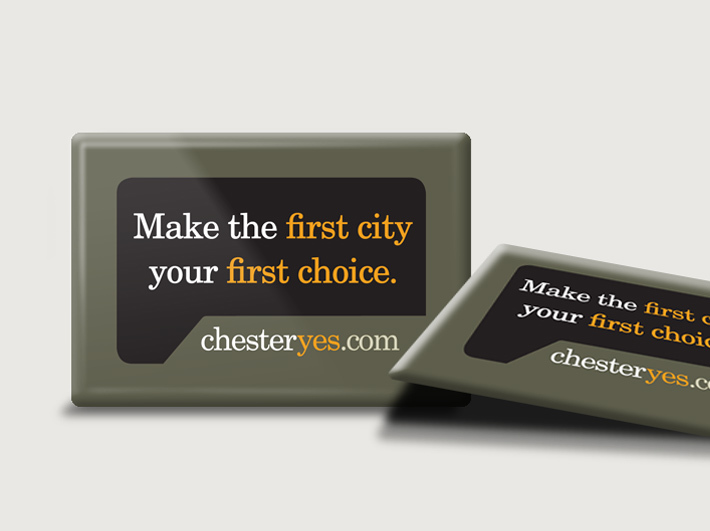 We worked with them to become experts on the city and its rich history, and gave a name to the excitement ChesterYES. 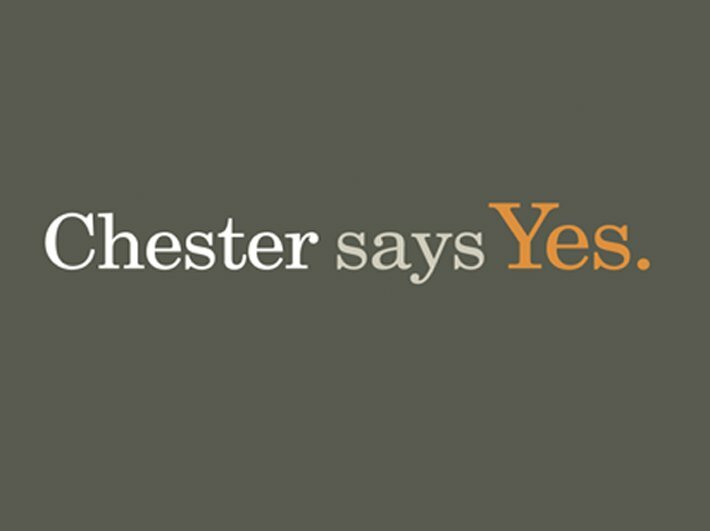 We also built an online hub for all things Chester; chesteryes.com. 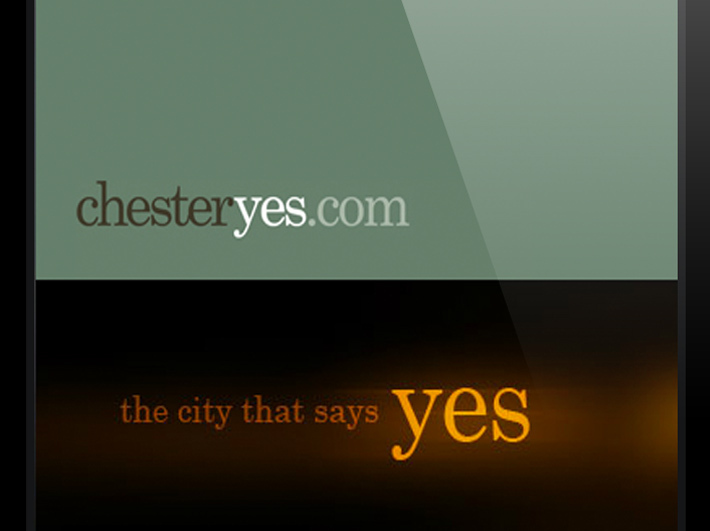 Here positive happenings could be relayed and contact information for follow-ups with business decision-makers could be gathered and leveraged by city marketing personnel. 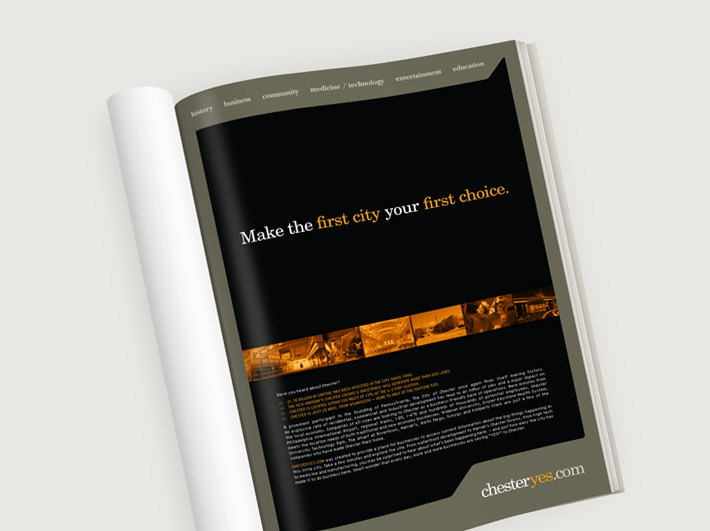 We also launched a limited outdoor and small-space print advertising program to drive traffic to the site and a CD with fulfillment materials to support the pitch process.